Filed under Buy Flowers, Fair Trade Certified, Roses. 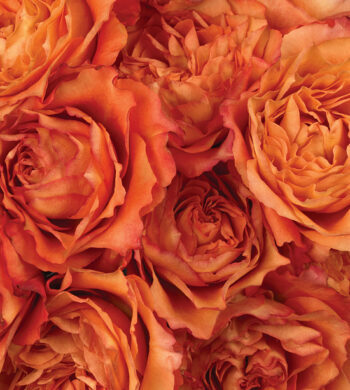 Our Free Spirit roses capture the essence of fun and sweetness for the upcoming October holiday, Sweetest Day. Fall is quickly flying by and we are nearly halfway through October, a month known for all things sweet whether it be trick-or-treating or warm, spiced baked goods on chilly days. What’s even sweeter about October, however, are a few lesser-known traditions and holidays that come about this month. Celebrated this year on October 15th is a fun holiday, Sweetest Day. Sweetest Day was originally created by a committee of candy makers and celebrities who distributed thousands upon thousands of boxes of candy to orphans, shut-ins, and poor. While the intention was to bring happiness and sweetness (literally) to the lives of those less fortunate, it has transformed into a day to give a small gift or gesture of kindness to a loved one whether it be actual sweets, a kind card, or a romantic date. Sweetest Day is not the only October tradition that is aimed at creating positive change, as October is also National Fair Trade Month! National Fair Trade Month raises awareness of fair trade practices to foster positive change for global economy, the environment, and sustainability. This month seeks to recognize the origins of products that have been ethically sourced in order to create balance and fairness through the entire production process whether it be in the wages of a grower or maintaining environmental standards to keep communities safe. Fair Trade helps level the playing field and provides greater access to farmers, growers, and artisans to provide more opportunities to market access and socially conscious consumers who are educated on how and where they purchase their products. 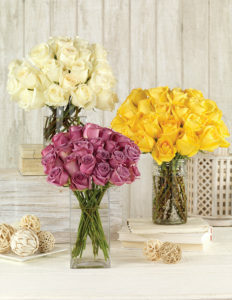 Choose from a selection of roses as well as vases for the perfect Fair Trade rose for your sweet! Sweetest Day and National Fair Trade Month have a lot in common. Both of these traditions were created to acknowledge fairness and positive change by putting people first. Sweetest Day was intended to bring happiness to lives of those who are forgotten like orphans and shut-ins. In a similar vein, National Fair Trade Month seeks to recognize best practices to protect the environment and economy of our certified growers. We are proud to take part in this yearly tradition as well as of our Fair Trade certification and practices. Calyx Flowers strives to provide green goods and services and work hard to maintain these standards. Not only do we want to deliver quality floral gifts to you and your loved ones, we want these products to make a difference for the growers. ones. Roses are the epitome of romance and their beauty conveys admiration and joy. 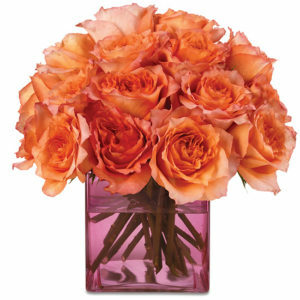 This makes roses a simply elegant choice for sending any message of happiness. 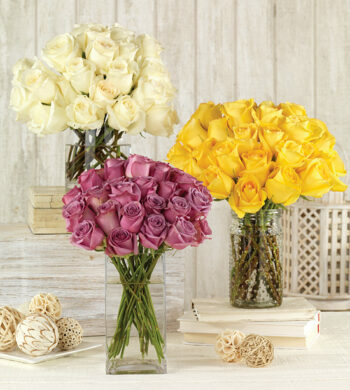 Our Fair Trade Rose collection is perfect for those who want options in making their decision. Not only can you choose between three rose varieties and colors, these sustainably grown and pesticide-free roses will arrive in your choice of three of our beautiful, signature vases from a modern square to classic cylinder. Get in the spirit of Sweetest Day and honoring National Fair Trade Month with our Free Spirit Bouquet. If Sweetest Day has you inspired to send Fair Trade flowers to a multitude of loved ones, we also have our Free Spirit Rose Bouquet. 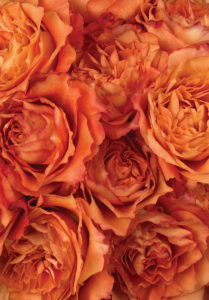 This particular rose varietal features large blooms with frilly petals for a fresh and spirited departure from the traditional. Send this happy bouquet to the free spirit in your life! And make sure to not only send our Fair Trade Certified flowers to significant others but also to anybody you know who deserves some sweetness in their life!